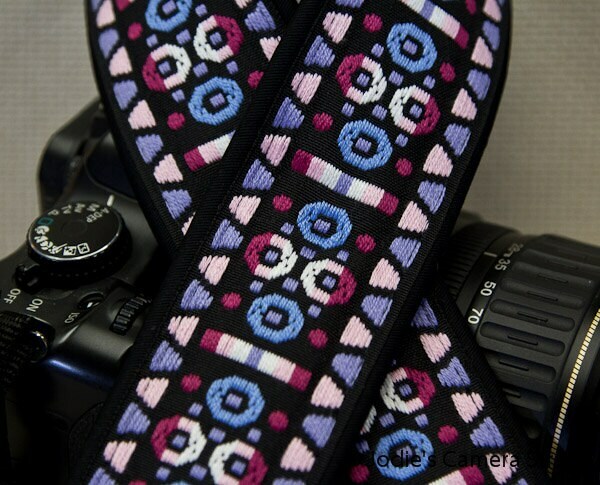 This is a great looking camera strap in a pink and purple geometric design of circles and triangles. Also has a vintage hippy feel. The craftsmanship of the camera strap is outstanding! 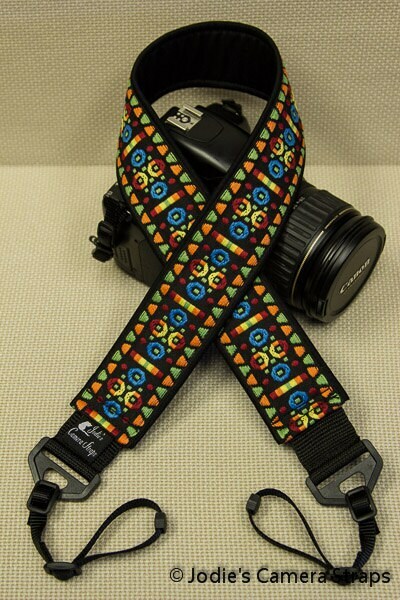 Based on the photograph of the item, the colors in the strap are as vibrant as I had hoped they would be. The camera strap is definitely of high quality. I highly recommend JodiesCameraStore if you are in need of a camera strap. Oh, and by the way, the item arrived sooner than expected. Excellent Etsy experience!